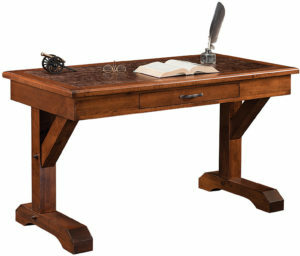 The writing desk has been a staple for writers over the centuries. 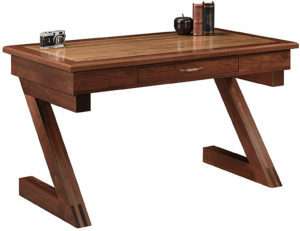 So making one of the writing desks below part of your home would put you in good company. 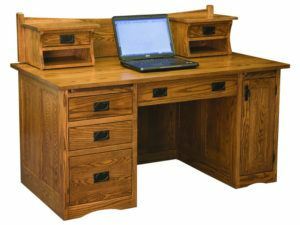 Plus, Amish craftsmen build each unit from solid hardwood. 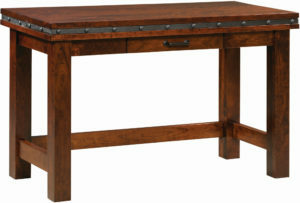 And that pens a statement of quality, durability and longevity. 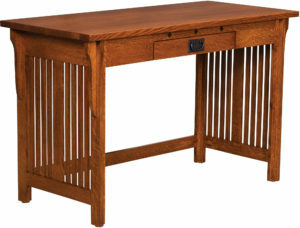 The Berkley Desk offers compact storage and fine Amish craftsmanship. 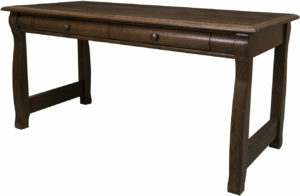 Beautiful tapered feet accent the Carlisle Desk. 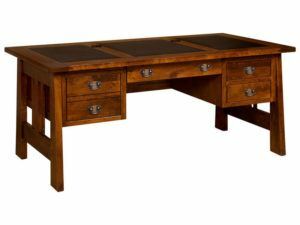 Fine wood craftsmanship and great detail accents the Centennial Flat Top Desk. 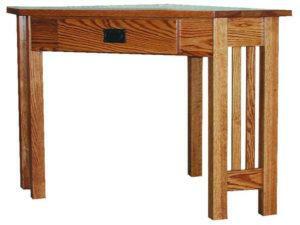 Wood slats accent the Mission Corner Writing Desk. 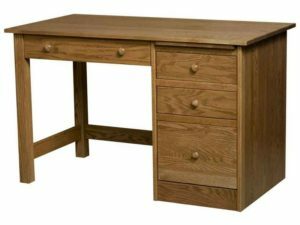 Simplicity and strength mark the Economy Desk. 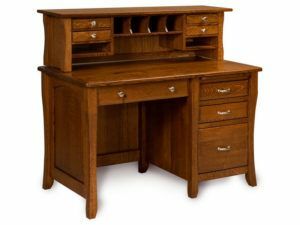 The Freemont Open Mission Desk offers beautiful Amish style. 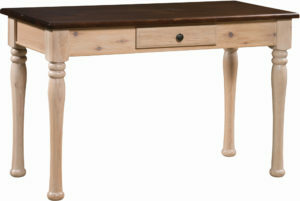 Shown in Rustic Quartersawn White Oak with FC9018 finish. 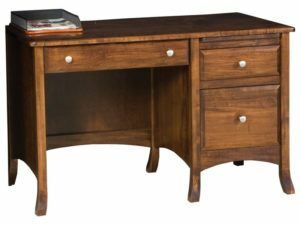 The Freemont Open Mission Pedestal Desk offers great features and a beautiful Amish style. 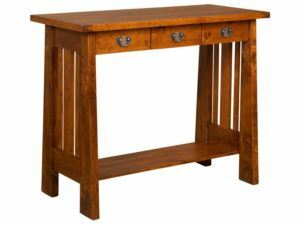 Shown in Rustic Cherry with Michaels Cherry Stain. 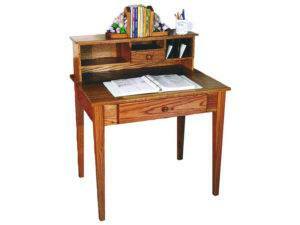 The Freemont Open Mission Pencil Desk offers a clean mission style. 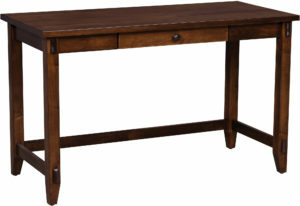 Shown in Rustic Cherry with Michaels Cherry Stain. 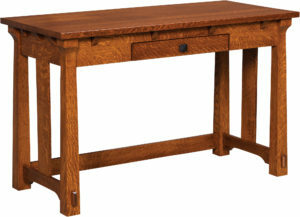 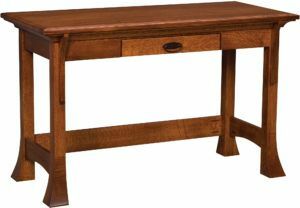 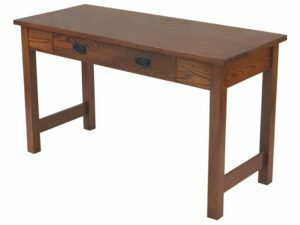 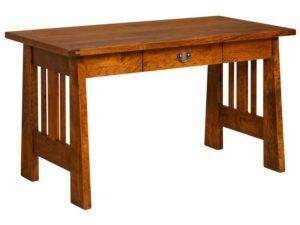 The Freemont Open Mission Writing Table is built with beautiful mortoise and tenon construction. 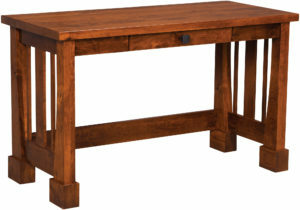 Shown in Rustic Cherry with Michaels Cherry Stain. 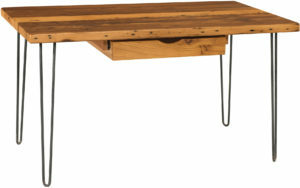 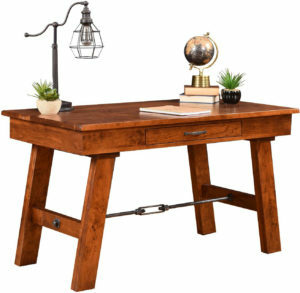 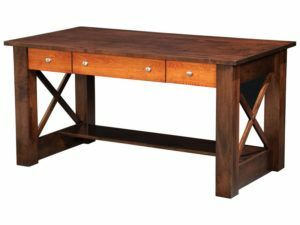 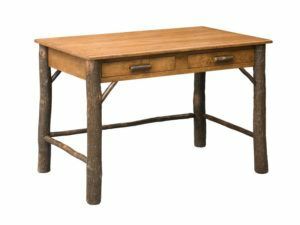 The Hickory Lincoln Desk possesses a rustic style and simple elegance. 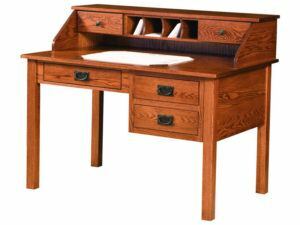 The Hoosier Secretary Desk features a fold down front to reveal additional storage. 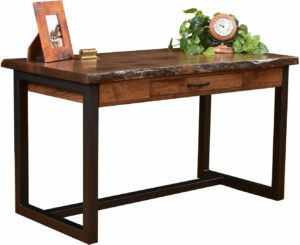 The Lexington Desk features a bold, one-of-a-kind style built with solid wood. 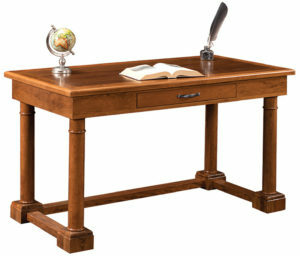 Solid wood construction highlights the Mission Desk. 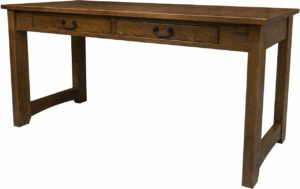 You’ll find plenty of dynamic storage space in the Mission Desk with Paymaster Hutch. 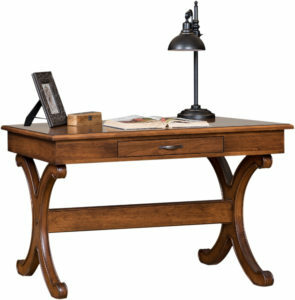 Gently tapered legs elegantly accent the Paymaster Small Desk. 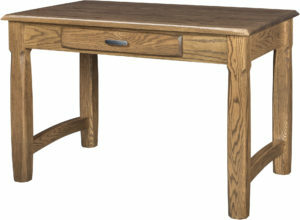 Elegantly tapered legs accent the Shaker Flat Top Computer Table. 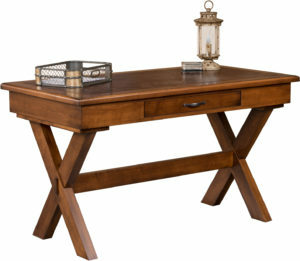 Subtle design and sturdy construction highlight the Shaker Writing Desk. 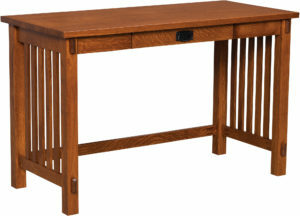 The Student Desk boasts plenty of storage space, perfect for school studies and homework. 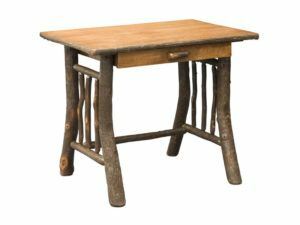 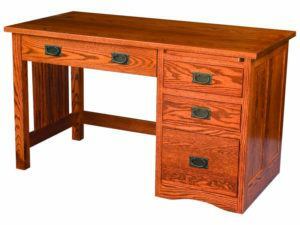 There’s no better way to create a space in your home for your writing endeavors than with a writing desk from Brandenberrry Amish Furniture. 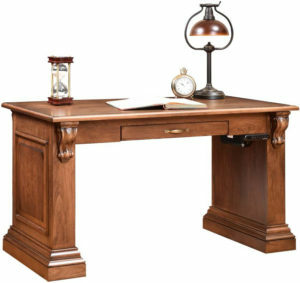 Even if your writing is confined to an occasional article, snail mail letter or card. 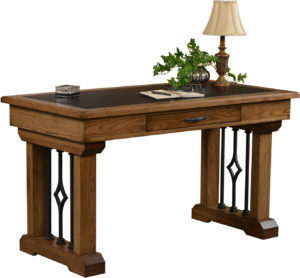 Or perhaps you need a special place in your home to catch up on your email and social media contacts. 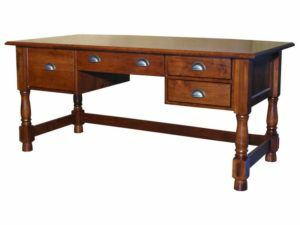 Notice that we’ve given you a large assortment of writing desks. 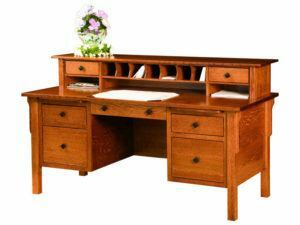 From more of a small writing desk to full featured units with writing desk drawers. 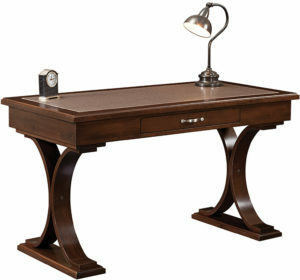 Plus, you can choose from a classic style to a modern writing desk. 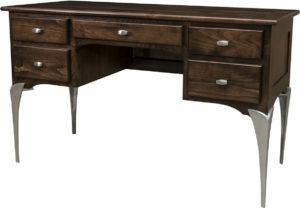 So the desk you choose should blend seamlessly with your other furnishings. 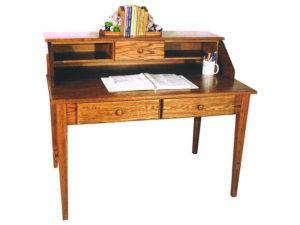 Our Amish builders painstakingly handcraft each writing desk. 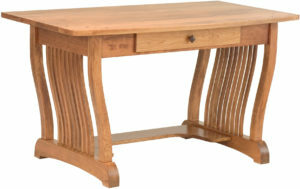 And they use solid hardwoods like oak, maple, cherry and hickory. 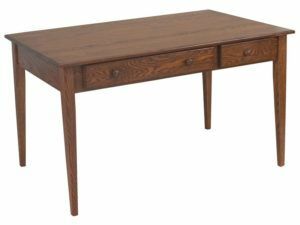 Plus, the Amish men draw from cabinetmaking skills handed down from their ancestors. 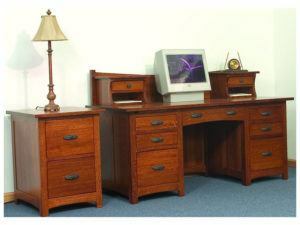 Along with modern-day technologies. 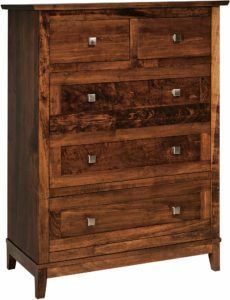 The result is that with proper care, the unit you choose may well become an heirloom item. 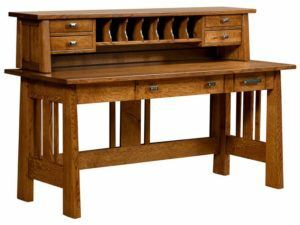 What’s more, you can order your favorite desk as shown or unfinished. 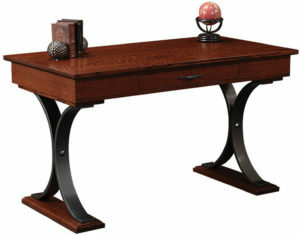 Or we can customize it to your specifications. 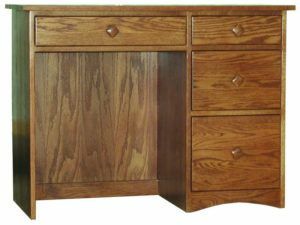 Your customization options include the wood specie, hardware, stain and finish.